The funniest thing I saw on Twitter recently was a man burning a bag of detergent and calling for the boycott of the manufacturer. He was holding a plastic bag that said, ‘Surf Excel’ and there was an orange halo at the bottom of the bag, as it had caught fire. I too have a love-hate relationship with detergents as I could never remember, whenever I went shopping, whether it is the front loading or the top loading washing powder that we needed for our washing machine. When I was a bachelor working in Saudi Arabia, my flat-mates and I had a tiny five-kilo top-loading machine, and it did not have a dryer, so I had to wring the clothes dry, by hand, which gave me strong forearms but wrinkled hands like a grandma. After I got married, my spouse bought the largest washing machine in the market with the latest bells and whistles, and it was front loading. I was not allowed to operate it, also one had to separate the whites from the coloured clothes, or something silly like that. (I got my revenge when one day I found my vests and innerwear looking pink and hanging sheepishly on the clothes dryer. “I forgot to separate the whites,” said my wife). Because of the ban, I did not know how to operate the machine for many years and had to rely on the smirking maid, whenever the wife and kids went on holiday. (Summer holidays meant going to Delhi and I opted out as it required washing a lot of clothes in the horribly hot weather as I hated giving my innerwear to the maid to wash). “No, the softener goes in this box,” said the maid, gleefully. We not only had to add a washing detergent, but also a clothes softener. (We were enjoined by my wife to use a softener that had a picture of a puzzled looking baby on the bottle). Technology had advanced in the field of washing machines but the water that was being sucked in by the pipes was hard or alkaline, and it made my shirts feel as if they were starched, and the sandpaper towels gave me skin burn whenever I dried myself vigorously. When we moved to Canada, we rented an apartment that had five appliances but no washing machine. To wash clothes, you had to take the lift down to the basement where there was a row of humongous washing machines that ate up lots of coins. These were front-loading machines and sometimes when I forgot to bring something to read, I would watch the clothes go around and round, and knew exactly when the lone black sock would appear in the window. 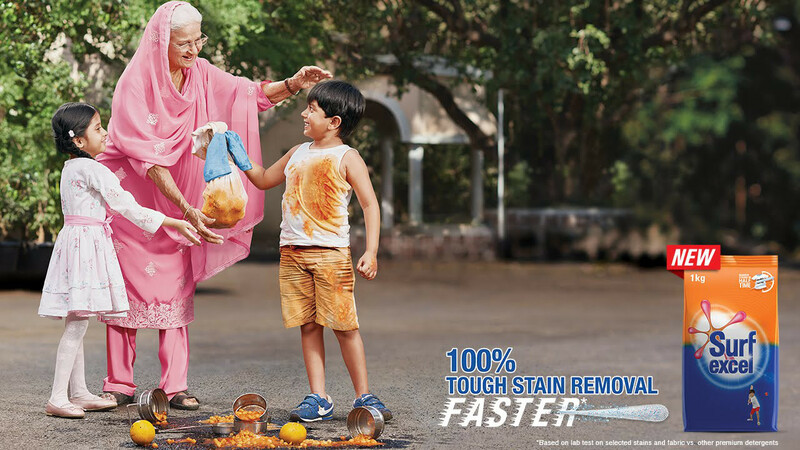 The reason why the man on Twitter was so upset with his detergent was because of a cute advert the manufacturer had released during Holi, the Indian festival of colours, where people splash themselves with coloured water. A young girl taunts her friends spraying coloured water up from a balcony, to splash her, until they run out of water. She then calls out to her friend (a Muslim boy wearing snow-white clothes and a white skull cap), to come out. He hitches a ride on her tricycle to the mosque. She then warns him not to think he would get away from being splashed on Holi day. “I will be waiting for you,” she says. The advert celebrated India’s multicultural mix of people and religions but it touched a raw nerve among the right-wing crowd. When the call to boycott came the silly hot heads went and did something even funnier. They boycotted Microsoft Excel.